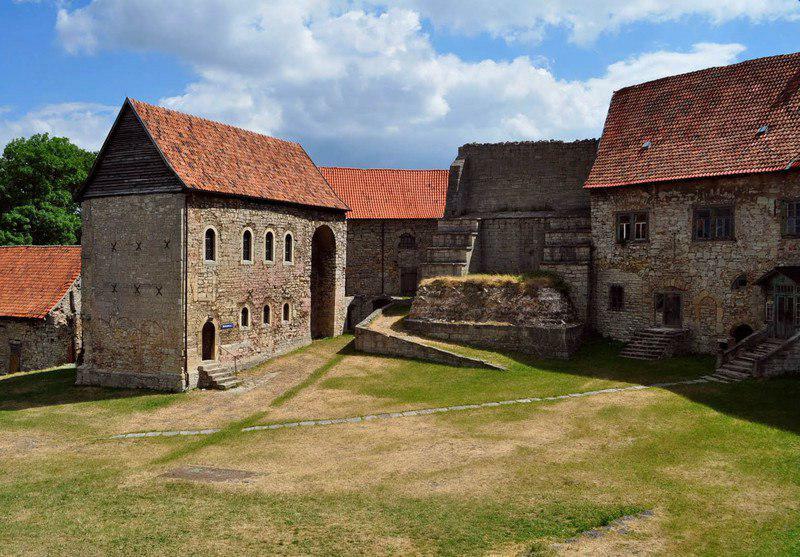 Continuing our old Lutter-tradition of going on weekend trips to historic castles in the first weeks of the winter semester, a few years ago we discovered Burg Lohra (http://openhouses.de/AusgewaehlteOrte/BurgLohra), located somewhere in Thüringen. As this castle is big enough to fit a few hundred people, everybody - be it first semester students, other students, alumni, the second-best course of study (Systemwissenschaften), or your best friends - really, everbody can come. On Lohra, we will spend three to four days huddled together, having a good time with our friends and getting to know all the other people you didn't know how much you love yet. During the days, we will have a lot of workshops, ranging from ice-breaker activities, acrobatic practices, drinking games, artsie stuff, sports, and whatever you and your buddies can contribute. In the evening, you may continue doing that or start dancing to music everybody loves. Next to the roof over your head and a place to dance in, there will be a lot of beer and non-alcoholic drinks sold at non-profit prices, and our kitchen crew will provide you with more food than you'll ever be able to eat or even carry (believe us!). You probably won't get too much sleep in your freshmen week! Next to all other events during this week, on Monday, we will book the Skatehall, Osnabrück's best place to party to electronic music, to introduce you all to our love for dancing and partying. And because that's not enough, on Friday there is our infamous pub crawl. Here you will get to know the bars in Osnabrück, play a lot of fun games led by older generations of CogSci-Students, and maybe drink one or two beers on the way. The plan is to go from bar to bar and solve some fun riddles as well as do some group exercises at each place. This is also a great opportunity to get to know some of your fellow students from the first semester, so come and have fun with us! Once you started studying the best course of study in the world, you probably don't need to be convinced by it anymore. But you can still convince others! During the Schnupperstudium, pupils that are interested in CogSci will be in Osnabrück for three days, have a nice barbeceue and other social events with everybody who wants to join, and pepper all of us with a lot of questions about CogSci. If you want to actively participate in all that, you can host a cute Schnuppie yourself and spread the love for what you're doing here. Look for the call for hosts in your E-Mail around march. Information about the contest and pictures of previous T-Shirt logos can be found on the T-Shirt page! Not only our student body is able to come up with decent events, but also the institute itself. Once you finished your studies, you are permitted to join this once-in-a-lifetime event, dress up in your nicest clothes and prepare to get your certificate in a very chic and ceremonial event where most of your classmates, almost all professors, and even your parents will be present! Of course, afterwards, there will be the opportunity to enjoy each other's company or party more casually. Wednesday is Trash Day! The Trash is a retro furnished pub in Mellerstraße. Over the course of the past years, it was always well frequented by (especially older) chatty CogScis, delighted by their cheap beer, and not in the slightest disgusted by the fact that its a smoker's bar. The highlight of the Trash is a football table which is a place for heated competitions (as everyone knows you only get better with more alcohol).